How do you know if you can drive after a few drinks? When you're buzzed or drunk, it's tricky to count how many drinks you've had. On top of that, each person's alcohol tolerance is different. Three drinks for you may be ok but it may be too much for your friend. Some people base it on their weight. For every so many pounds they weigh, they wait so many hours before driving. If counting drinks is tricky when you're drunk, imagine doing that calculation! We're not going to go and tell you that the safest thing is to not drink and drive at all. You've heard that already. But what you may not know is how handy it is to own a personal handheld breathalyzer -- for you and your buddy! Sometimes showing a friend they are over the limit with one of these things is the best way to get them to turn over their keys. 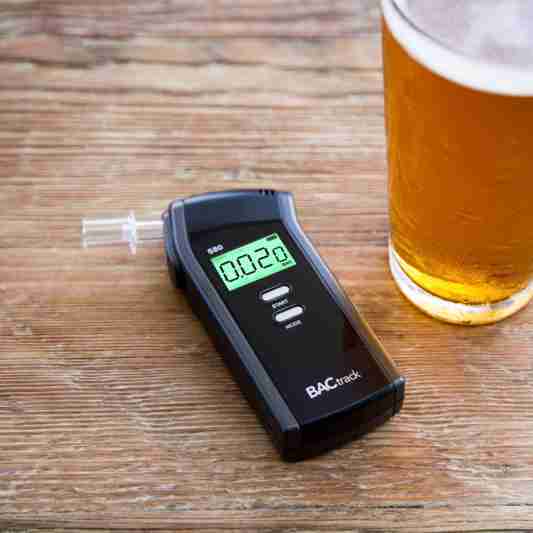 Bottom line, a breathalyzer does the math for you. You also may not be aware that there are currently over a 100 different breathalyzers you can buy on the market. Picture this: key-chain units, handheld units, mobile units that attach to your smart phone, and more! It can be a real challenge to even pick one out. The worst part is that many have received negative reviews when tested for accuracy and should not be used. So for the last two years, the tech website called The Wire Cutter has tested dozens of units. And now Relaid is here to save you the pain of even having to go to that website. Ha! Take that, internet! (Scroll down to continue). Buy the BACtrack S80 Pro at Amazon. Click here.